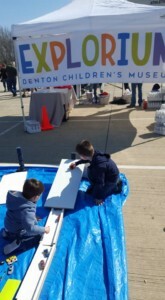 Another successful year in the books for Explorium Denton Children’s Museum fourth annual Touch a Truck event! 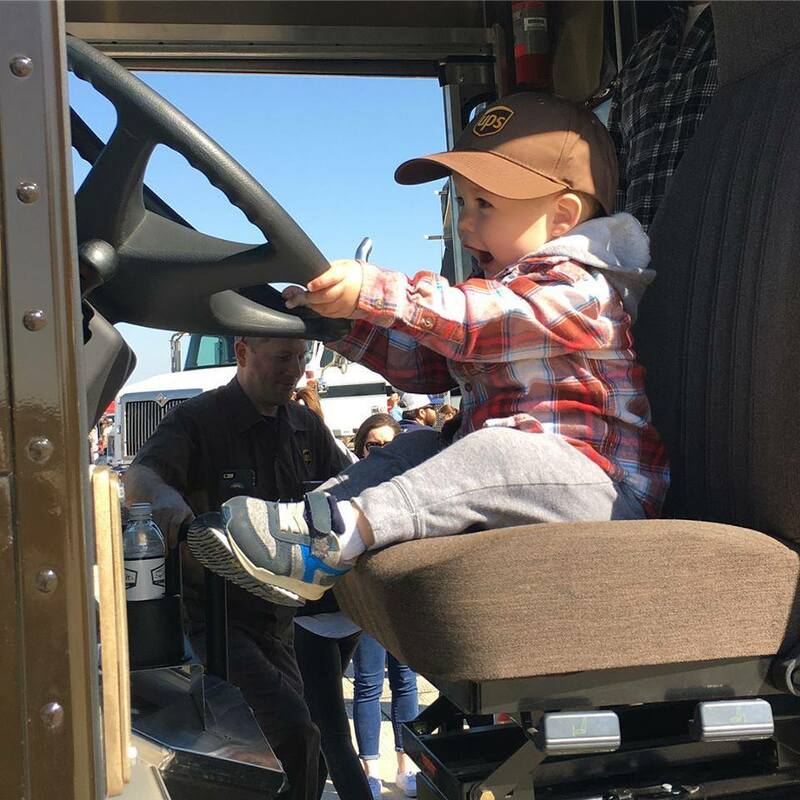 Children and their families were able to explore and play with vehicles of all types: emergency, public services, utility, construction, school bus, motorcycles, and big rigs. 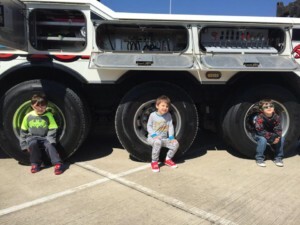 The children could touch, climb on the vehicles, and ask any questions about the vehicles. 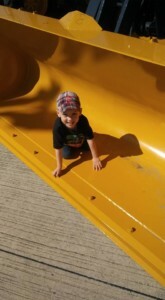 From 9:00 am to 10:00 am we had quiet hour for families who may have special needs children. 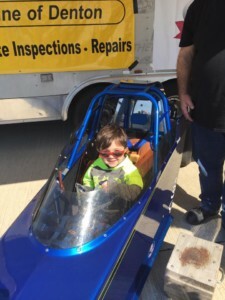 This was a time for the families to come out and bring their children to explore all the vehicles and activities without any horn hocking, flashing lights, and the engines off. As the quiet hour was ending, we started to see the lines of cars line up to come in and see all the amazing activities and trucks we had this year. As families started to unload, the lines to see all the vehicles started to build up. 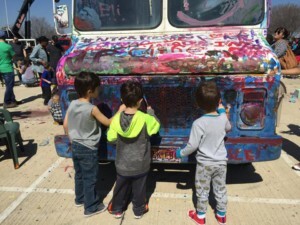 Kids and adults of all ages were so excited to paint on Frenchy’s Truck and it turned out amazing! Explorium had an information tent in the middle of the activity center. This year Explorium brought car tracks for children to play with and build on. A new adventure was brought to the Explorium activity table. It was a special visit from the Mistress of Potions. She brought a whole new experience to the children and families who stayed to watch her mini magic shows. The children and families had a blast with the Mistress of Potions. This year Explorium had a raffle tickets for four Disney Park Hopper Passes valued at $620, one basic Explorium Membership valued at $75, and a Pudge Rodriguez Autographed book. The Touch a Truck event also had a sitting area for the families to sit and enjoy the delicious food provided by the food trucks: Kona Ice, Comb’s Coffee, and Fire in the Hole. Everyone enjoyed the complimentary hot dogs provided by CoServ. The Walmart Distribution Center in Sanger also provided food to the drivers and volunteers who worked the event. 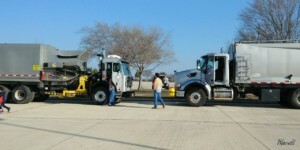 Explorium would like to thank all the families who came out and support the 4th Annual Touch a Truck event! 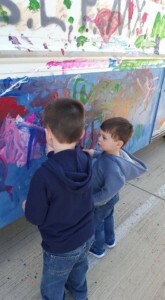 Thank you to Explorium board, staff, truck drivers, volunteers, and sponsors who made this event happen! 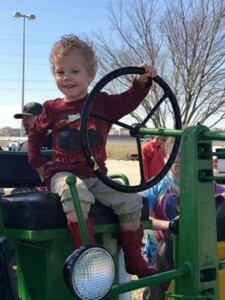 See everyone next year for the 5th Annual Touch a Truck!